My family likes to break the rules. Cool your jets, we’re not doing crack or anything (I wouldn’t have the first clue HOW to do crack). 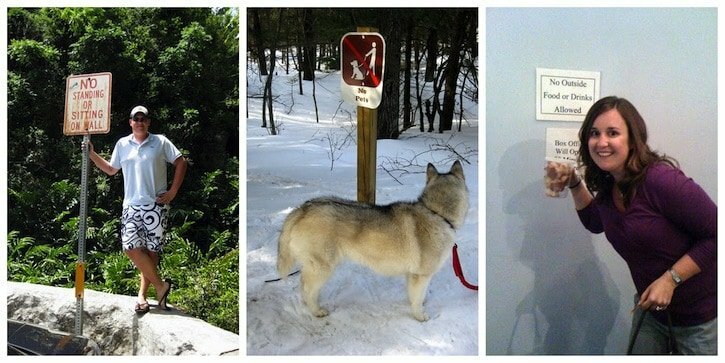 We just like to ignore silly signs by standing on walls in Hawaii, snowshoeing with dogs past where they’re really welcome, and taking homemade macaroons to movies. So, are you really supposed to take glass jars to the beach? Probably not. The same goes for glass of any kind at most beaches. 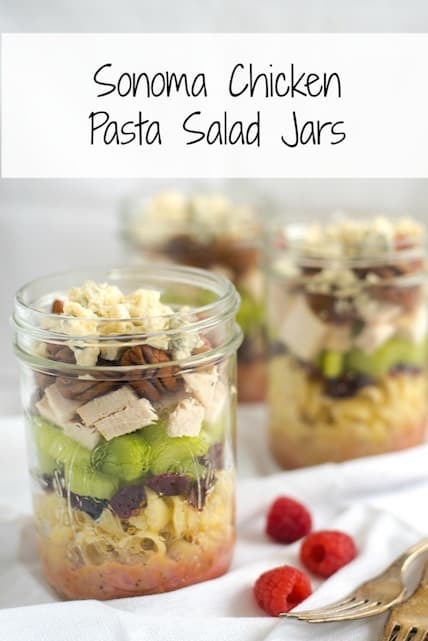 Did we take these salad jars to the beach a few weekends ago, and snack on them between dips in Lake Michigan and catching up on our periodicals? Of course we did. 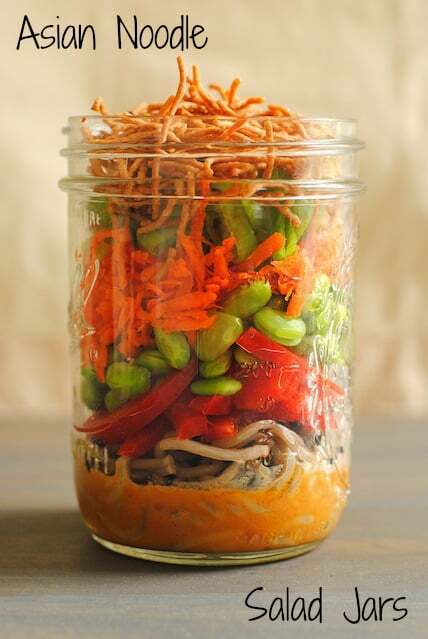 I know I’ve completely missed the boat on the mason jar trend. Hello, what is this, 2011? But the fact is, I bought my first set of jars just this spring, and I’ve been making up for lost time with them. 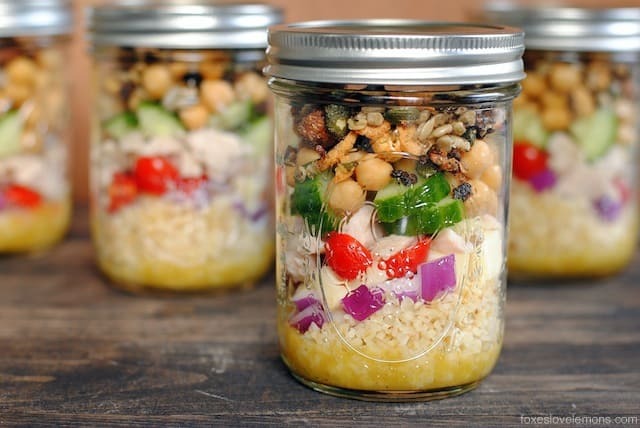 The fact that you can pack a complete meal, all in one jar? I’m in love. 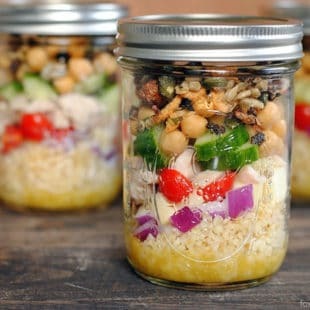 For these chopped salad jars, I’ve started with a layer of white balsamic-Dijon vinaigrette, then scooped in cooked bulgur wheat, a mess of vegetables and chickpeas, some roasted turkey breast, cubed mozzarella cheese, and mixed nuts. 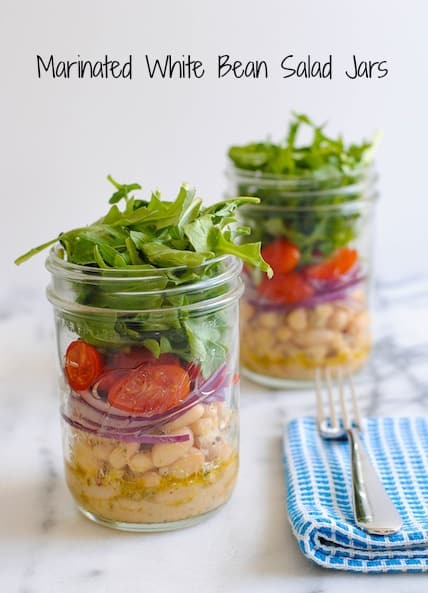 Breaking the rules, nutritiously and deliciously.Psst – for some great tips on how to pack a perfect mason jar salad, check out this tutorial from The Kitchn. In medium saucepan, bring 1 cup water to boil over medium-high heat. Stir in bulgur wheat. Reduce heat to medium; cook until bulgur is tender, or about 10 to 12 minutes. Drain off any remaining liquid. 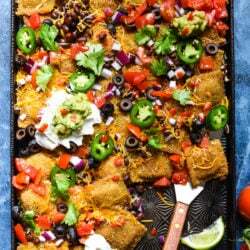 Spread bulgur in a single layer on a rimmed baking pan; transfer to freezer to chill for 10 minutes or until cool. Meanwhile, make the vinaigrette: In a small bowl, whisk together mustard, vinegar, salt and pepper. While whisking, slowly drizzle in oil until all oil is incorporated. 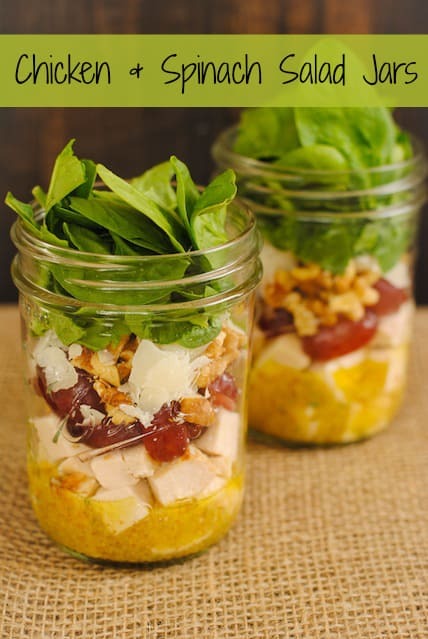 Divide vinaigrette between 4 pint-sized mason jars. Divide cooled bulgur wheat over vinaigrette. 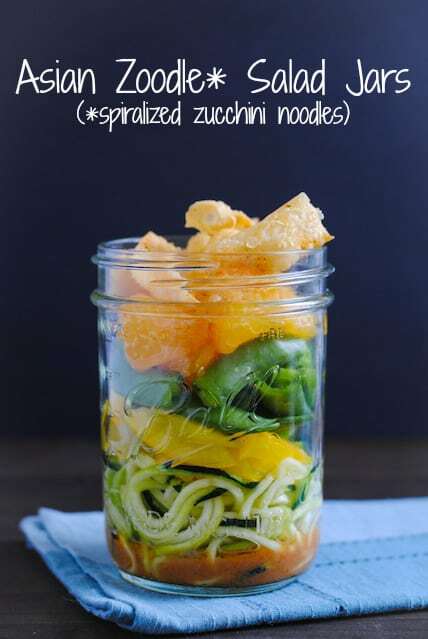 Layer remaining ingredients, ending with Tuscan Summer Mix.Top with lids and refrigerate up to 5 days. Loved your recipe..Thanks fore the tasty delight although we had to cook we experimented further with the recipe adding butter and couple to make it even more tasty .. I had among the awesome Indian cuisines in Mississauga one could never miss out. Way to tip off the fuzz to our rebellious ways. Now I am going to go to Hawaiian rock wall jail. Boo. These are so fun! And I love how you guys are such rebels! Thanks Chung-Ah. Yes – mostly food rebels 🙂 haha. I don’t see the recipe on the nature’s box blog. Is there an updated link? Thanks. I am the only one that would eat this so how do you not waste food or dressing? Hi Rebecca – feel free to just halve the recipe. This was delicious! I made it without the chicken or cheese because I am vegan. 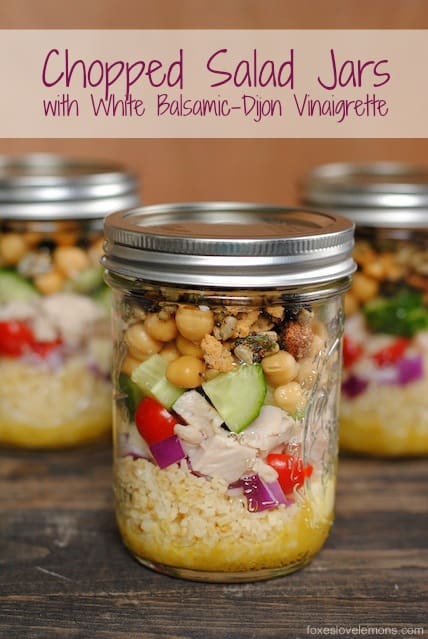 The combination of the bulgur wheat and the chickpeas gave it an amazingly buttery flavor. I used shallots instead of red onions. This is definitely a keeper. Without the chicken, this recipe was 2-3 servings for me. With the chicken, it would definitely be 4 servings. 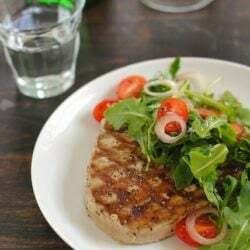 I will make this super healthy dish again and again!